In order to investigate the relationship between scientific evidence and social commitments this article addresses three questions: (1) does low dose ionizing radiation cause cancer? (2) Is the answer to this question different in a social setting than in a scientific context? (3) What are the consequences of the answers of 1 and 2 for the relationship between epistemology and ethics as played out in radiation protection? Conceptual analysis with basis in the philosophy of science, in particular traditional theories of causality. Whether low dose ionizing radiation causes cancer deeply depends on what we mean by causality. According to traditional scientific conceptions of causality it is not warranted to say that low dose ionizing radiation causes cancer. Standard approaches in radiation protection, however, imply that there is a causal connection, which is due to the strong social commitment in the field. 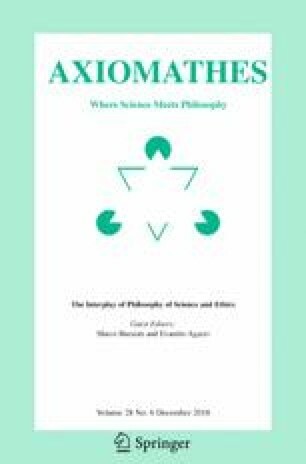 There is a close relationship between social and scientific conceptions of causality, posing a series of challenges: one being that scientists covertly become moral experts, another one that the general public can be misinformed. There is a difference between causality in science and in policy making. Mixing these conceptions, as sometimes is done in radiation protection, can be misleading. Whether low dose ionizing radiation causes cancer is a social and not only a scientific issue. As such those who are warranted to have a say.